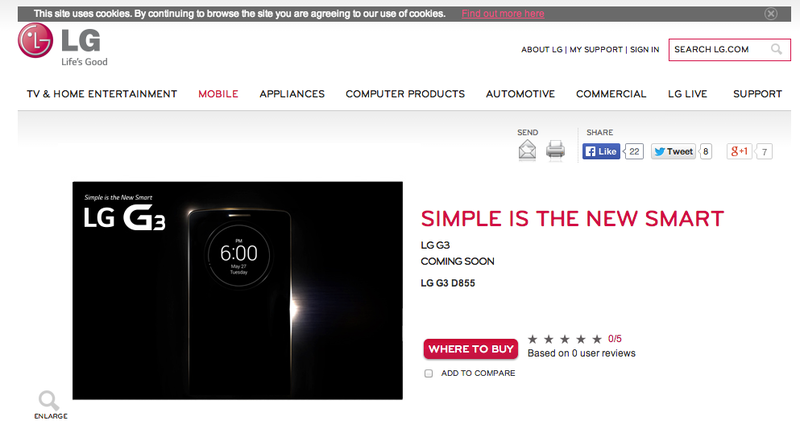 A landing page for the G3 from LG has appeared on the company’s official UK website, acting as a placeholder for when the device is announced. The page shows model number D855, but does not give us any additional details. There are sections for technical specs, reviews, and features, but they are completely empty. The only piece of info on the site is the model number, plus the same teaser video that was released earlier this month. We have placed it below for your viewing once again. 7 days from today, folks. That’s when LG makes the G3 known to the world.